FOLLOWING the boom of startup businesses in Southeast Asia, many operators emerged capitalising on this new lifestyle trend by creating various stylish and luxurious coworking spaces in Bangkok. Coworking space operators now offer a new level of convenience to all business nomads both expats and locals alike. With more flexible terms for rental offices or desk spaces on shared floors, the most important characteristics seem to be the community-building aspect offering programmes and events to create a networking community. 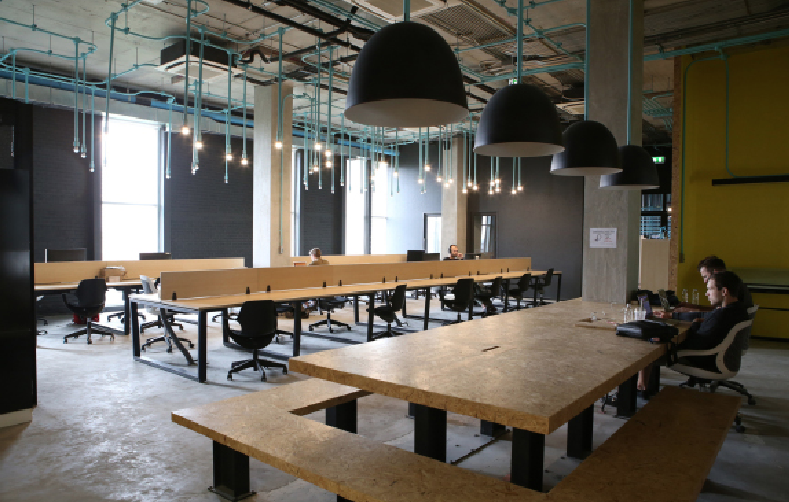 Known as one of the first coworking spaces in Bangkok aiming to cater to both startup entrepreneurs and independent workers. Offering a comfortable place to work, the facilities definitely live up to its reputation as the most established coworking space in Bangkok. The Hive - six-storey high loft-style building with rooftop bars and a Spa - offers an expansive and professional coworking space with a very business-like atmosphere for all guests with periodical events hosted as part of community-building activities. Another premium community-based workspace located conveniently next to BTS and MRT stations on Silom Road. This unique coworking space focused on offering productivity enhancing environment to support all business with private offices, coworkspace hot desks, meeting rooms, event spaces with fully equipped facilities. Impressing on providing more than just a physical space for busy travelling businessmen, Colab on Convent believes in providing space to establish a community of collaboration and creating a connection in the most convenient atmosphere in the city centre. Offering a wide open space resembling Silicon Valley workspace with a mixture of startup teams and digital nomads with an emphasis on technology, this coworking space offers a quiet and professional atmosphere for all renters. 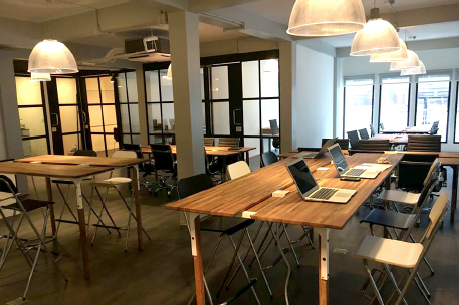 Located in the business centre area in Bangkok, the coworking space caters to numerous creative freelancers and designers. It has been expanded to accommodate more activities for renters. Complete with necessary facilities, this is another coworking space digital nomads should visit. An inspiring coworking space in Bangkok decorated in colourful tones of yellow, black and grey, this shop-house style building has been transformed into a professional yet comfortable coworking space that is only a short walk from Asoke BTS/MRT station. Located near Saphan Kwai BTS station, this 50-year-old building has been redesigned to reminisce that of a comfortable and contemporary home suitable for shared working space. Offering professional workspace with the best office features with the homely atmosphere, this coworking space is another enjoyable location to visit for all digital nomads alike. Also available are afternoon tea break on Tuesdays and yoga classes on Wednesdays. Only five minutes from Thonglor BTS station on a motorcycle taxi, this coworking space is known as the most diverse and dynamic in Bangkok. Converted from a large shop house, this 5-storey coworking space is laid out to suit all freelancers, designers, entrepreneurs and digital nomads alike. Offering basic office facilities, the best features include rooftop bar and garden. Established itself as a Co-creation Community, HUBBA-TO offers stunning and efficient workspaces and services for members. This active community provides a variety of services that are more than just a coworking space. Also available are workshops, events, and community activities. Established in 1983 as a garment factory named Poolsub Arporn, the family business involved exporting children’s clothing to the Middle East until 1991. The building was a warehouse for one of the largest toy company in Thailand for the next 23 years until the year 2014 when the building was recalled and renovated to create a professional coworking space as it is today. Strategically located at Rajdamri Intersection, the Zen World Tower is close to restaurants, banks, five-star hotels, retail shops and entertainment outlets easily accessible with the BTS Skytrain. Offering a perfect solution for local and overseas business nomads and companies looking for flexible and fully-equipped office spaces with comprehensive services at a reasonable price. It’s not enough just to offer spaces, internet and good coffee anymore. It’s all about the image, the services, the location and the community events. Tackling the specific niches has become the best tactic to keep the business rolling in whether it is writers, designers, crafters or workshop-addicts.